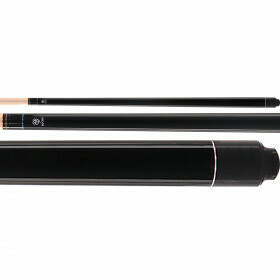 Here's a pool cue with style. 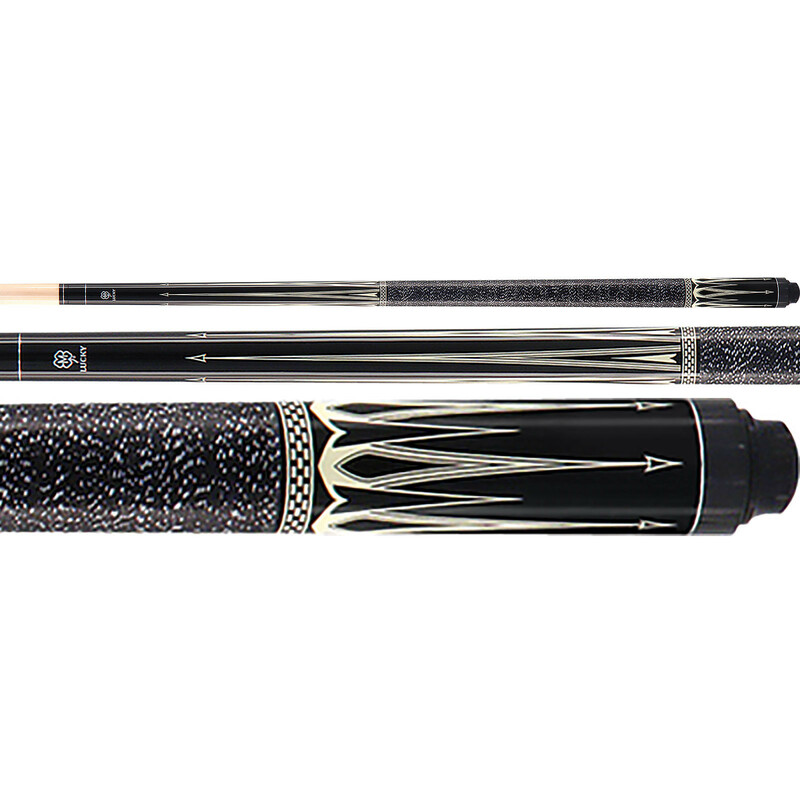 The McDermott L22 Lucky pool cue features a rich black paint covered with overlay points on the forearm and sleeve. 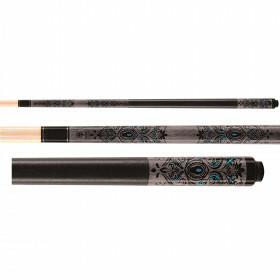 This black pool cue looks more expensive than it is! 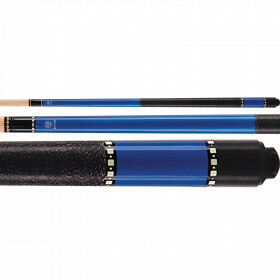 McDermott Cue makes high quality maple pool cues and backs them with a 3 year warranty. 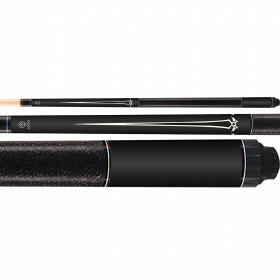 This cue hits as solid as it looks and will help you take your game to the next level.